I think Han Ye-seul is a very polarizing actress. You either like her and you think she’s a good actress, or you don’t like her and you don’t think she’s a good actress. I like Han a lot because she won me over in a good way in Will It Snow on Christmas. I can’t say that she’s a superb actress like Soo Ae, or even a particularly skilled one, but I think she gives dimension and quirkiness to her characters in a way I don’t find overbearing. For me, she’s one of those actresses who can play cutesy with a sense of awareness. And to be completely frank, I like Han Ye-seul because she’s played bitchy and tricky characters. She’s shown a nice variety in the roles she chooses to play, ranging from the crazy (Anna in Fantasy Couple) to the quirky (Myung-wol in Spy Myung-wol) to the delicate (Han Ji-hwan in Will it Snow) and she’s been pleasant in every one of those dramas. She can come off as sort of shrill sometimes, and her line delivery can be kind of weird, which are complaints I’ve seen of her acting, and understandable ones at that since, y’know, speaking and all of that stuff is kind of important in acting. But those things don’t really bother me, and I find her more jumbly and cute because of those imperfections. I think I also have such good opinions of Han because of what happened this year with Spy Myung-wol. It takes a lot of guts in her industry to just drop everything and say, “Enough is enough.” Part of me thinks she just spoke her mind because she was so delirious from fatigue, and that maybe it wasn’t a perfect sticking-it-to-the-man scenario, but whatever the case, I think she’s brave for doing what she did. I don’t think she earned herself any favors in that industry (let’s see when she can score her next drama role) and she was made out to be a horrific person because of it, but I hope she continues to have a nice, long career down the road, because I’ll be keeping my eyes out for her. Seo Hye-rim is one of those actresses who’s been around for a while, doing a lot of things, but has never really penetrated my own personal dramasphere until she took on Sungkyungkwan Scandal last year and now I just love her. She’s so bubbly and cheerful, and again, not in an overbearing way at all. She plays a lot of characters in romance stories where while you may not be rooting for her character to get the guy, you don’t hate her for her existence like you would a lot of other female second leads. I don’t think she got a great role in Scent of a Woman this year because that character became surprisingly trite, uptight, and purposely dense for all the wrong reasons, but Seo was able to add a layer to the character in a way that didn’t make her seem like a stock villain. Seo adds a lot of color in the scenes she’s in just because she’s so vivacious. Her energy reminds me a little of Kim Byul’s and both actresses are scene stealers, though not necessarily lead material. I wish there were more actresses like this because they make second female leads less dreadful to watch and these are the gals very often play characters that are the female equivalents of the Second Lead Syndrome that is almost used exclusively to describe male second leads. I hope to see more of Seo in 2012, taking on meatier roles and maybe try to score some lead billing while she’s at it. 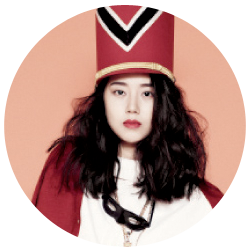 I’m glad Moon’s getting so much more popular now because she’s effortlessly lovely in her roles. She radiates calm and assertiveness in her characters, which might be subjective traits that have no real bearing on her actual acting skill, but you just know that she’s lead role material. She graduated rather quickly from second lead to first lead and this year’s Princess Man really solidified her standing in the K-drama landscape, and I’m sure she’s going to continue to blow up in the coming year. I’ve watched most of Moon’s dramas (!) and all of her characters were quite memorable to me, from her cuuuuuute Yeo Eui-joo (Take Care of Agasshi) to her suppressed-but-scheming Yoo Seung-mi (Brilliant Legacy) to her sweet and steadfast Lee Se-ryung (Princess’ Man). I basically like her in anything and everything. Moon hits all the right notes for me and I want to see her in something new as soon as the drama gods can manage. 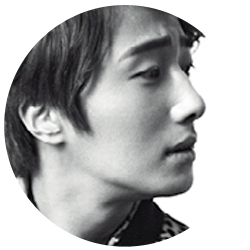 Sigh, Jung Il-woo. All Jung Il-woo does is inspire me to sigh. Crushing aside…come to think of it, I’ve seen most of Jung’s dramas: Return of Iljimae, Take Care of Agasshi, 49 Days, and Flower Boy Ramyun Shop. That’s a pretty good palette of diverse characters. I’ve waxed poetic about this before, but Jung shines (SHINES!) when he gets down and dirty with the serious. He’s pretty forgettable as a comedic actor and I don’t think he’s naturally gifted at comedy (see: Kang Ji-hwan, Cha Seung-won, or even Lee Dong-wook), so to be completely honest, I didn’t love his comedic turn in Flower Boy Ramyun Shop. But the second he has to turn that light switch and change into Dramatic Man, I basically drool on cue. I feel like I’ve already talked about Jung ad nauseum this year, so let’s just say…thank god I can start 2012 with him on my screens. Again. I’ve been on a huuuuge Yoo Seung-ho kick lately, and I’m beyond excited that he’s been cast to do the Proposal Daisakusen remake. He’s so YOUNG, how is he capable of so much? I think 2011 was a good year for Yoo because it put him firmly in the adult camp, since he no longer plays the younger version of fictional Joseon kings or high schoolers, and I think he’s gotten a lot more cred this year through his roles in Flames of Ambition and Warrior Baek Dong-soo. I don’t think Yoo is the best or the grittiest of actors his age, but it definitely feels like he hasn’t fulfilled his potential yet and he has a lot of potential. I think his youth has so far been a restraint on the kind of characters he can play and I’m interested in seeing the roles he’ll take on now that he is treading slightly into adulthood. Sometimes it’s just hard getting an 18 year-old to play anybody but a high schooler, but we’ll see how Yoo does with Operation Proposal and beyond. It’ll also be interesting to see the kinds of actors Yoo will be cast alongside in the future because I do think Yoo’s acting is enhanced when he has to riff off more skilled actors (Kim Ha-neul in Blind, Choi Min-soo in Warrior) and can fall a little flat when alongside not-as-skilled ones (Ji Chang-wook in Warrior). Whatever the case, I’m! So! Excited! About! Yoo! Seung! Ho! And there you have my year in K-actors and actresses of 2011. There were a lot more I could talk about, but feel that I’ve already touched base on so frequently throughout the year that it seemed unnecessary to bring them up again (Lee Min-ho, Chun Jung-myung, Kim Soo-hyun, Gong Hyo-jin, etc). In addition to that, my final list of ten actors and actresses that wowed me on more than one occasion this year and in multifaceted ways, making them most memorable for me this year. Who are your picks for best actor and actress of 2011? Gorgeous graphics.I like the circle motif and how you spaced out the circles in the main graphic. Also like the bg color.